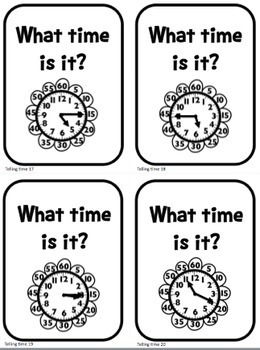 This set of 52 cards will help your students with all phases of telling time: from telling time to the hour to solving elapsed time story problems. They are perfect for your different learning groups from beginners to your advanced and early finisher groups. Common Core 2.MD.7 and 3.MD.1. 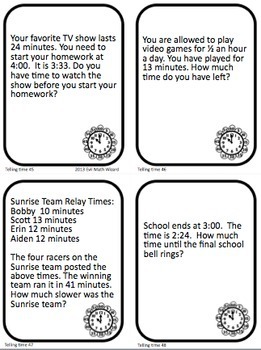 I have used task cards as a math center, journal prompts, whole class Scoot game, class discussions, or even assessments. You are in a race. You started the race at 4:07 and finished at 5:03. How many minutes did it take you to finish the race? Is this available in a bundle as well? Not at this time, but please check out my other Time activities. 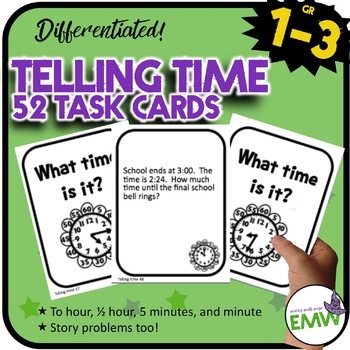 CCSS.Math.Content.2.MD.C.7 Tell and write time from analog and digital clocks to the nearest five minutes, using a.m. and p.m.
CCSS.Math.Content.3.MD.A.1 Tell and write time to the nearest minute and measure time intervals in minutes. Solve word problems involving addition and subtraction of time intervals in minutes, e.g., by representing the problem on a number line diagram. How do I connect with Evil Math Wizard? Be sure to follow my TPT store to receive notifications of new products and upcoming sales. New products are always 50% for the first 24 hours, so it pays to follow my store. To save more money, please leave feedback to earn TPT credits. 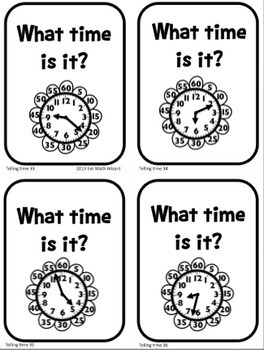 Also visit my blog for K-5 math tips and freebies you can use tomorrow in your classroom. You can also find me on Facebook and Pinterest. If you have any requests or questions, please contact me through the "Product Q & A " tab below or email me at Deirdre@evilmathwizard.com.